Crimea is a wonderful place for fishing lovers. The geographical position and warm climate provide all the necessary conditions for year-round marine, freshwater and underwater fishing. 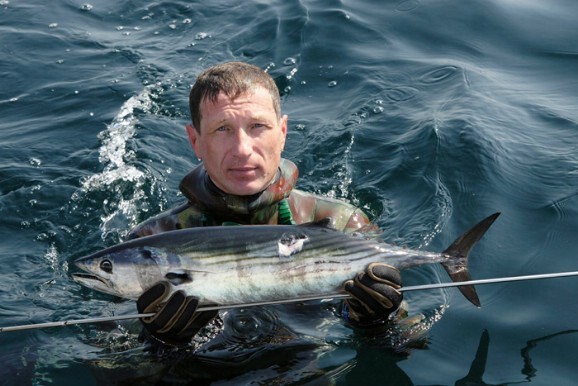 Thanks to picturesque landscapes and rich marine fauna of the Crimean Peninsula has become a favorite destination for both professional anglers and ordinary fans. The hallmark of the Crimea, of course, is sea fishing. 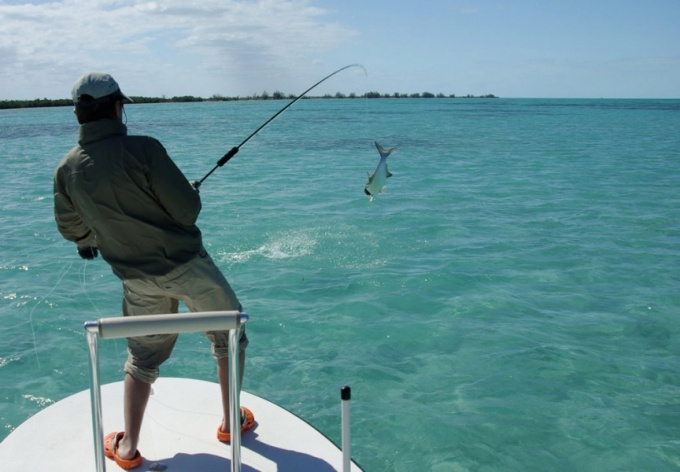 Due to its geographical position and mild climate, fishing is possible year round. However, fishing was successful, you need to know when, where and what to fish. 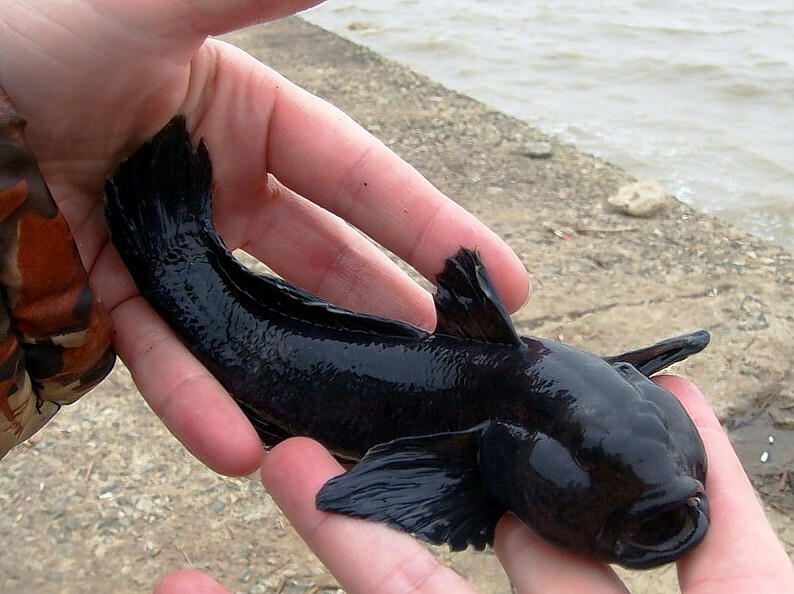 For example, in the Black and Azov seas in addition to rich local fauna can be found "stray" visitors that migrate to spawn during the change of seasons. Such transit inhabitants include the black sea herring, which live near the shores of the Caucasus. She goes to the spawning grounds through the Strait of Kerch in the Azov sea, and in the winter again returns to the Black sea. 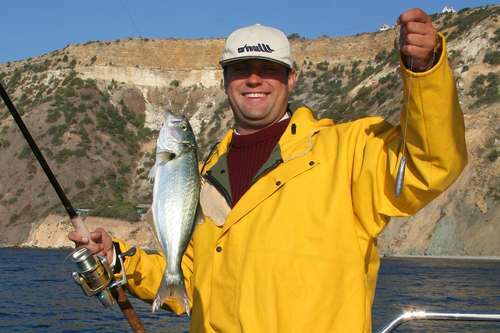 That is why the ideal time for catching black sea herring falls in October. 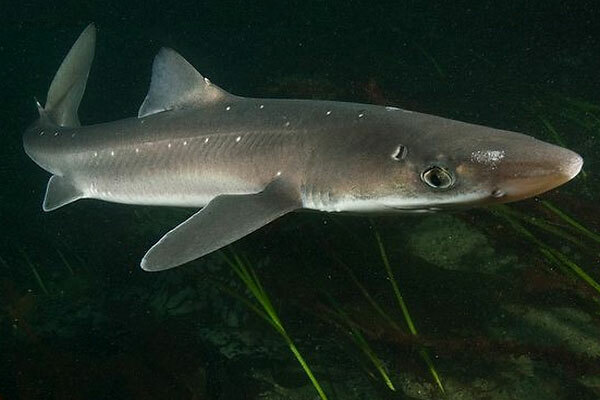 In the Crimean sea come, sturgeon and tuna-like species of fish, pelamide and mackerel. But, say, a mackerel is a permanent resident of the Black sea and can be caught all year round. However, the season fishing occurs in spring and autumn, when the water is still warm, then the fish goes into the depths of the sea. To the local inhabitants of the black sea waters can also be attributed haarder, mullet, bluefish, sea bass, sea burbot, flounder and perch. Catch them in a period from late spring to mid-autumn. Sea fishing on the Crimean Peninsula can be divided into 3 main areas: the Black sea, the Azov sea and the Sivash. Each of these areas has its own characteristics fishing. So, on the coast of the Black sea near the Kerch Peninsula are caught mainly fish, haarder, mullet and flounder. 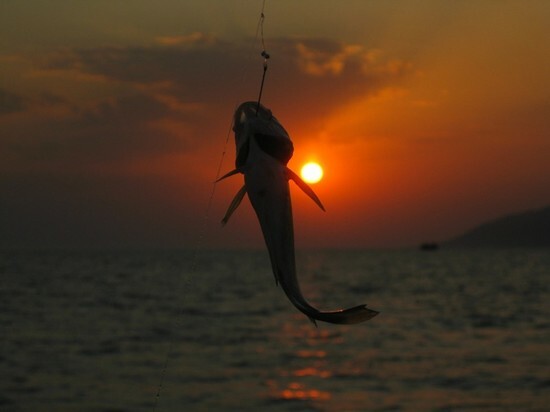 Southern coast of Crimea is popular among fans of fishing in the open sea. The area of Balaklava is considered the most "fish" place – here in the usual abundance of sea bass, red mullet, sea Fox and horse mackerel. From the shore you can catch zelenoju, ruff and other little stuff. On the West coast of Crimea in the area of Cape Tarkhankut fishermen waiting for a catch richer: mackerel, mullet, goby, turbot, as well as crabs, mussels and Rapana. In this area you can hunt on the black sea shark, if you go on a boat in open water. At siwash fishermen go mostly for the bull. Because it is found at great depths, you can catch it only from the boat. In addition to bull in the area you can also catch flounder-Glossa, which is a delicious meat, shellfish and shrimp. The Azov sea is of interest to fishing from the shore and in open sea. Primary production in these waters will be whitebait, goby, flounder, haarder, mullet and perch. In Crimea there are many bodies of freshwater in which fish can be found for every taste. Freshwater fishing can be divided into several zones: rivers, lakes, reservoirs, and paid water. The main freshwater inhabitants of the Crimean Peninsula are considered to be carp, carp, roach, bream, carp, pike and Zander. For an exciting lake fishing tourists can go to Baydar valley, where they catch mainly perch and carp. 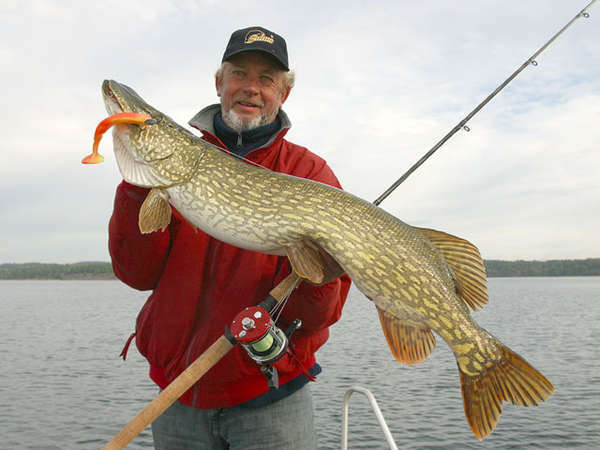 For pike it is best to go to an artificial lake located at mount Gasfort. 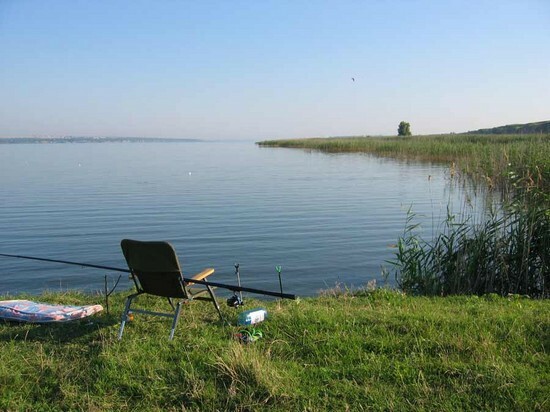 The area is very beautiful, so in addition to good fishing you can enjoy plenty of picturesque Crimean landscapes. 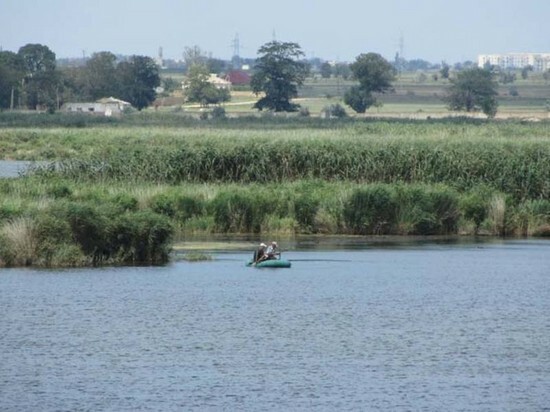 In addition, fishing can not entirely in a freshwater lake under the name Sasyk, located between Saks and Evpatoria. This is the great salt lake, but it freshened the Northern part is rich in fish: carp, white Amur, carp, mullet, perch. To fish in the mountain rivers of the Crimea is not so easy, so on the river fishing go mostly experienced fishermen. However, the effort be repaid with interest – here you can catch delicious trout. However, to fishing must first obtain a special permit. The most successful places for river fishing can be attributed to the Bank of Belbek, Kacha and Black. Especially popular with visiting tourists paid fishing. First, pay ponds there are always fish. Secondly, all necessary fishing equipment can be rented. Thirdly, in these fishing villages has created favorable conditions not only for the great fishing but also for relaxing surrounded by nature: the availability of refined territory with gazebos, saunas and barbecues. 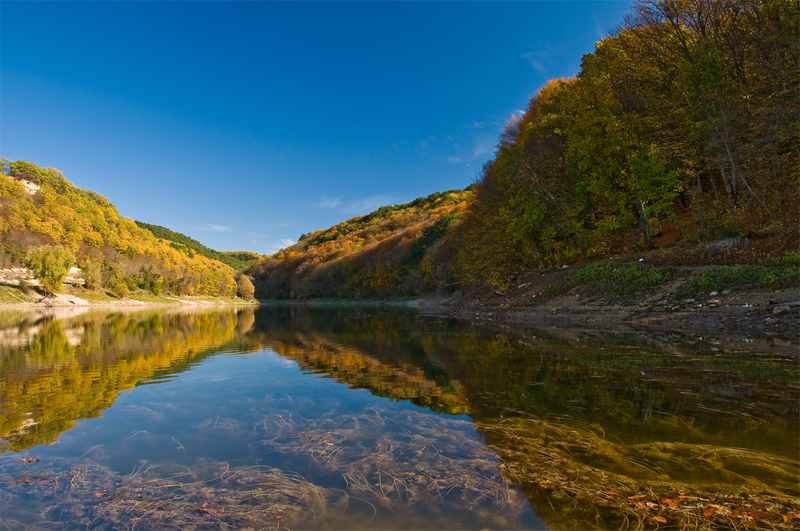 The most famous pay-reservoirs on the territory of the Crimean Peninsula – the lake Kyzyl-Yar, and a pond in the village of Uvarovo. 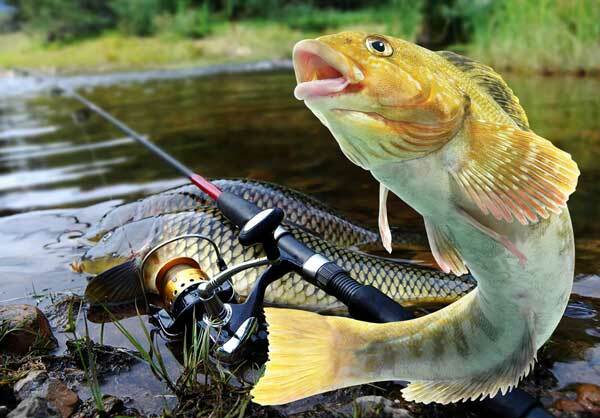 In these places for relatively little money, you can catch a lot of carp, carp, perch, haarder, perch, crucian carp, silver carp and grass carp. 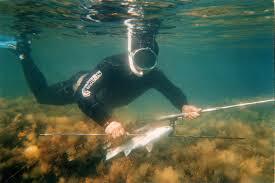 Spearfishing in Crimea is very popular among the local population and visiting tourists. One of the best places for underwater fishing are the Bay of the Tarkhankut Cape. A distinctive feature of this place is pure clear water (visibility up to 10 meters in depth) and the abundance of reefs which create ideal conditions for spearfishing. 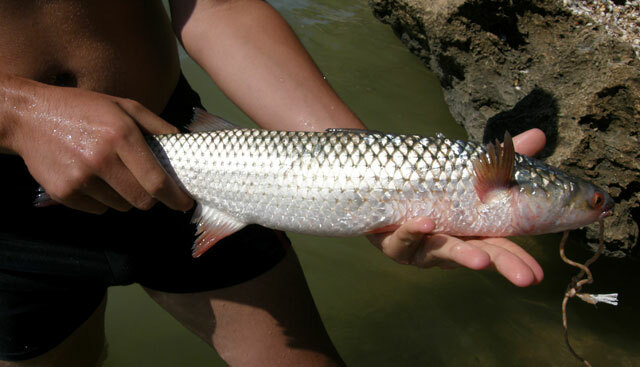 As for inhabiting fauna, the most common mullet, striped mullet and Saran. Of no less interest among lovers of underwater fishing causes living in the local waters flounder and Stingray. For an exciting spearfishing suits and Balaklava Bay. The local fishermen called it "fish bag", as here you can get a lot of bluefish, horse mackerel, sea bass and mullet.